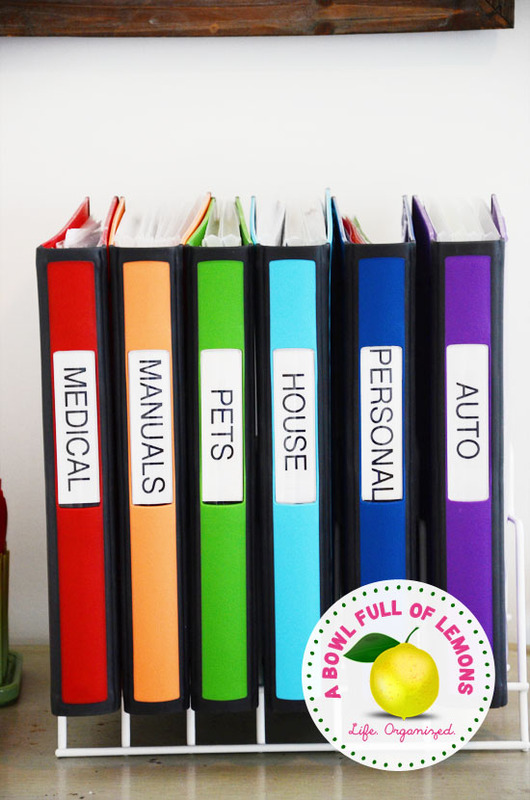 Getting organized and staying organized can be a constant battle for many of us! 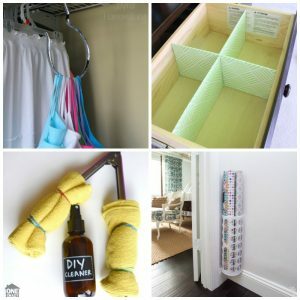 Here are 18 clever organizing hacks to help us cut down on clutter and keep our everyday lives running smoothly. Our board games are currently “organized” in a stack of precariously balanced boxes on a top closet shelf that threaten to fall on anyone daring enough to select a game. 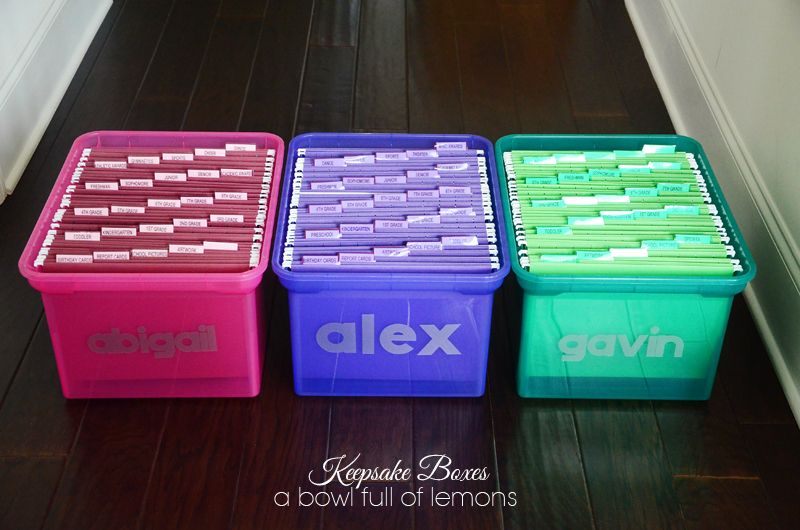 I love this game organization idea by Raising Lemons. Simply remove a drawer and carry it to your game location when ready to play! I’m not a very sentimental mom, and I admit that most “keepsakes” end up in the trash bin after a time on the refrigerator. However, my kids love to hang onto their drawings and we utilize a similar keepsake system for those precious homemade comic books and superhero pictures! If you own your own small business or are on a strict budget, then you know what a mess it can be to keep track of your expenditures. 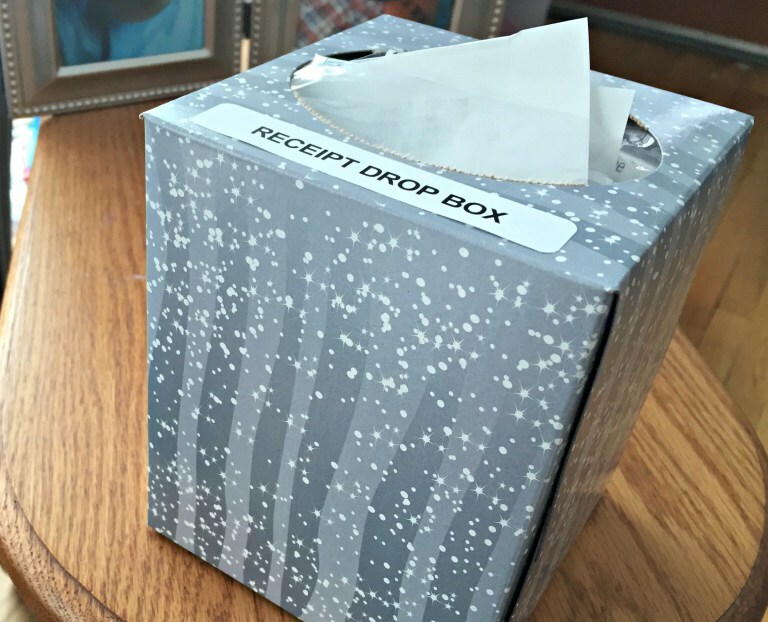 Don’t be fooled here by the tissue box picture! The receipts eventually migrate from the tissue box to a filing system. I love how she breaks it down into manageable steps which all start with a no-excuses tissue box! Here is another great system to get you off on the right foot this year with keeping your home office paperwork neat, organized, and accessible! 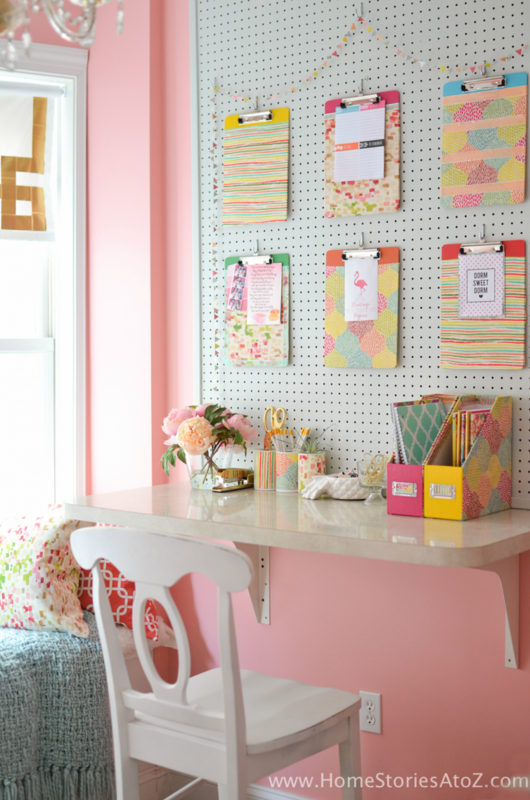 Pegboards are an inexpensive and brilliant way to create vertical storage for just about anything. 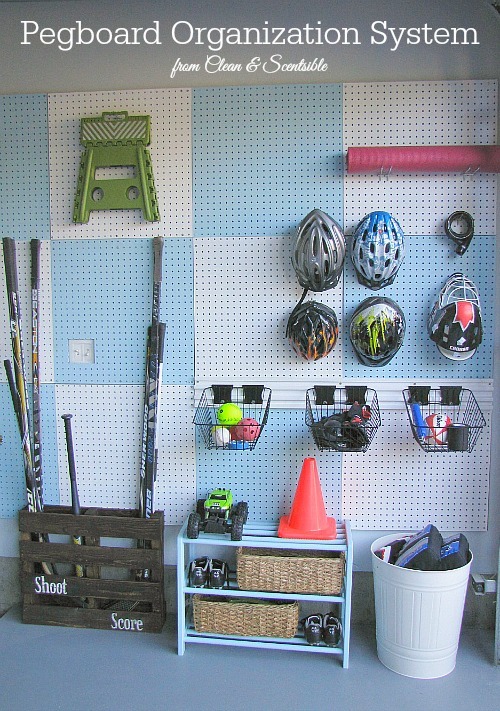 I love the idea of organizing your garage with pegboards. There is something so beautiful about an organized fridge! Keeping an organized refrigerator saves you money in the long run because food is used up when it can be seen. Sure it says January at the top but don’t let that stop you from tackling this purge list this month! 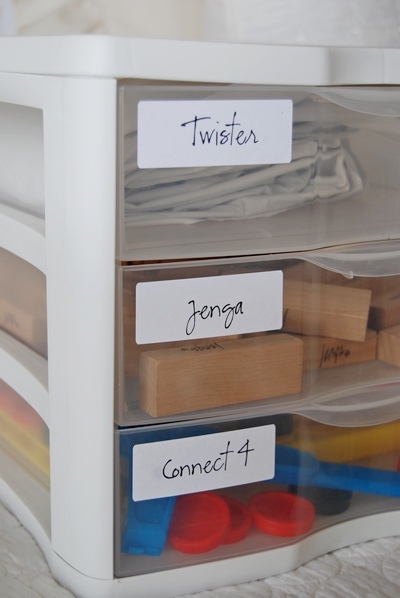 Want to help your kids take charge of their own drawer organization? Of course you do! 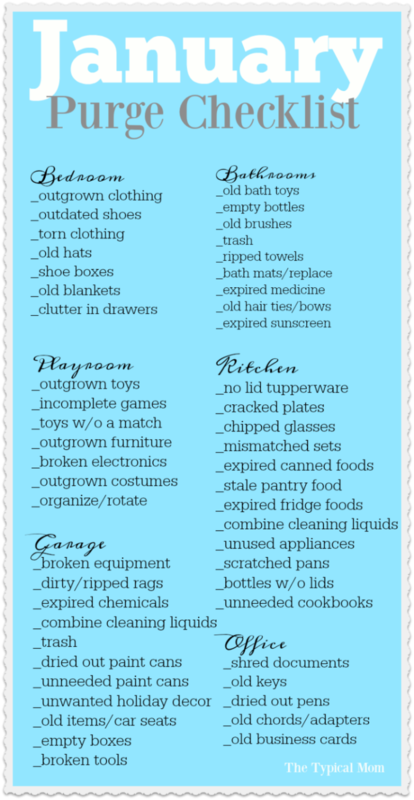 Here is a great printable chart to help kids remember where everything should be put away. 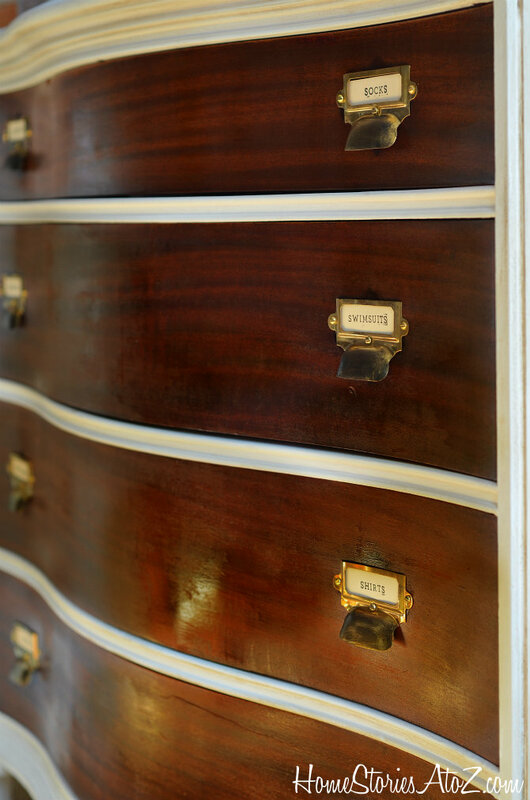 I use a similar system with my kids with stylish card catalog pulls . It has definitely helped over the years! 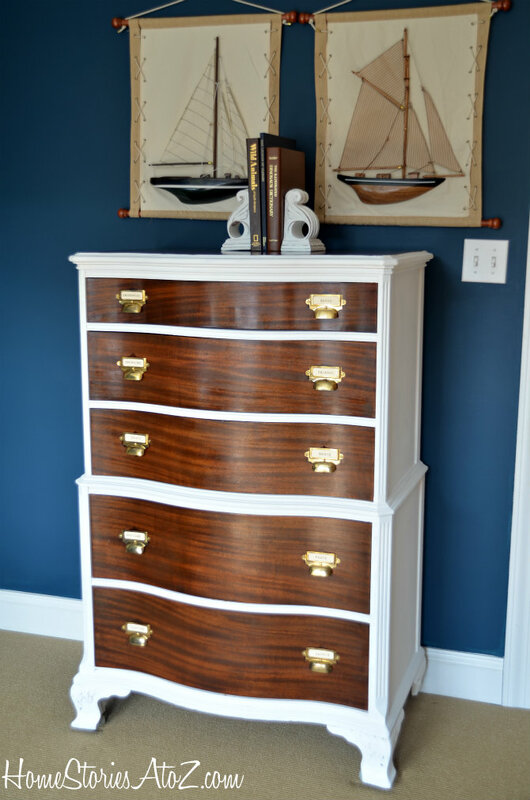 You can see my boys’ dressers here. 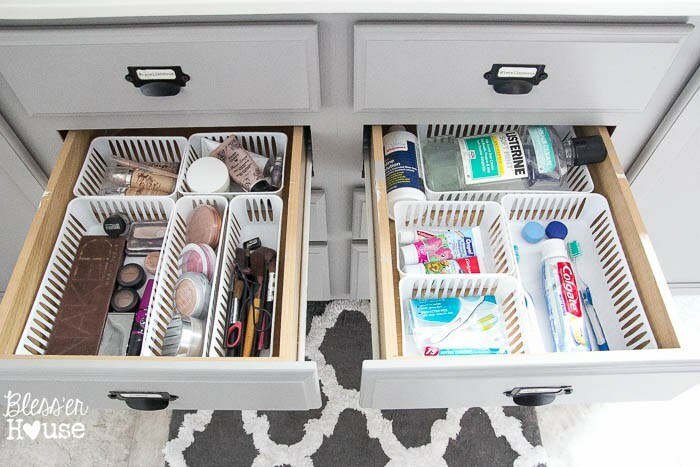 Keep your bathroom drawers tidy with these inexpensive and easy to implement tips! 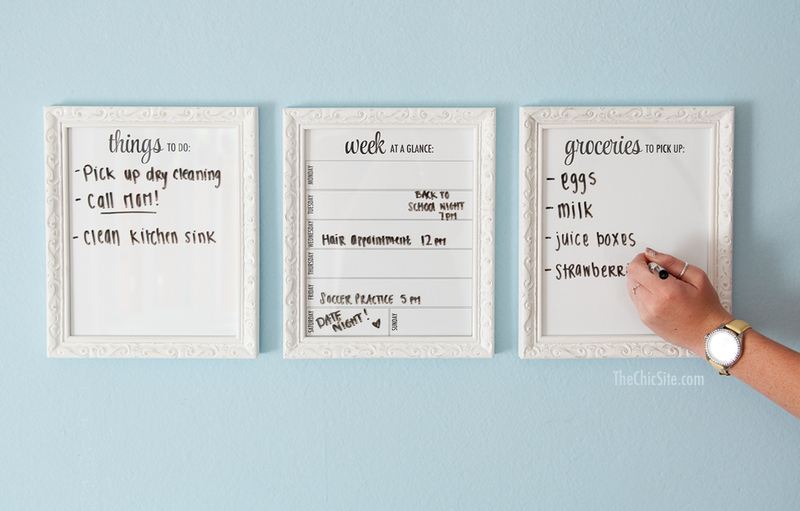 Grab some frames, a dry erase marker, and a few printed sheets of paper and you are ready to organize your week! Dry erase markers easily wipe off of any glass surface and printables can be customized to best fit your family’s needs. This is a tried and true method that is easy to implement today! Purchasing containers to organize all of your pantry staples can be pricey. 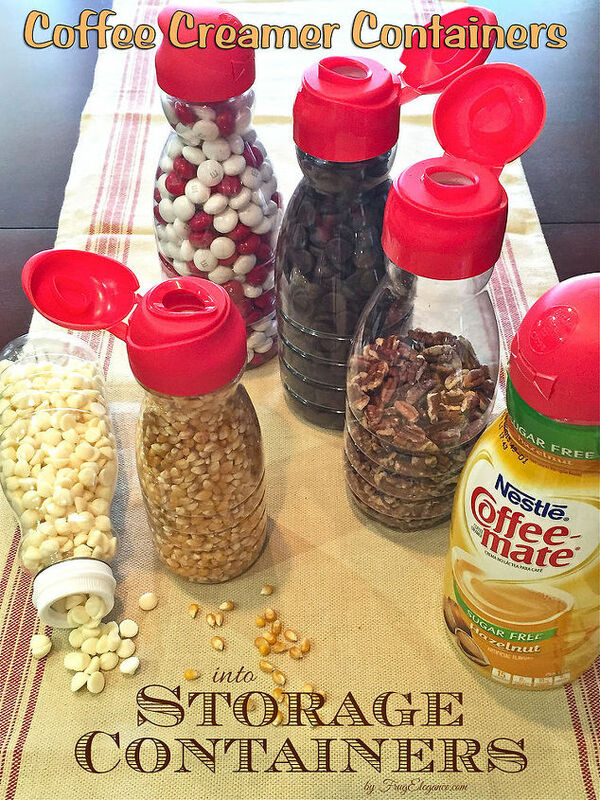 If you want easily pourable containers for free, consider upcycling your coffee creamer containers. Paints cluttering up your countertops? 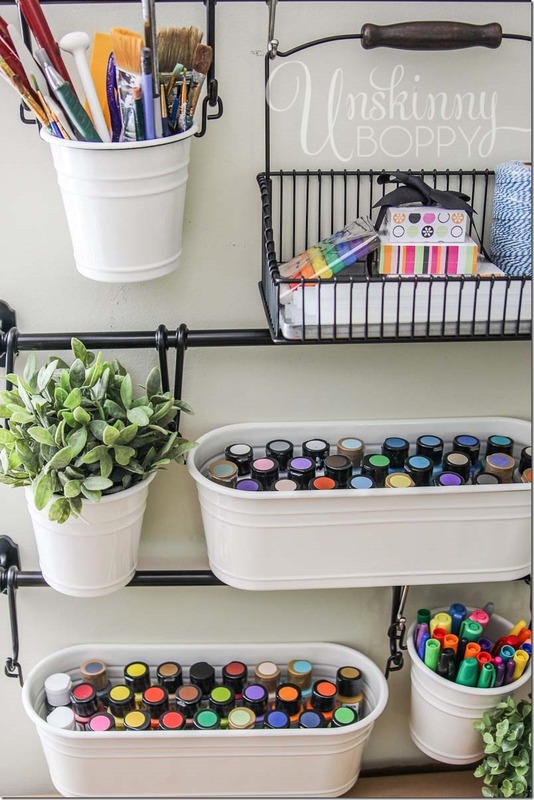 Use vertical storage and some Ikea containers to neatly display and access your craft supplies. Here’s a clever idea! Turn frames into organizers with this tutorial by Dawn Nicole Designs! I love the chicken wire organizer. 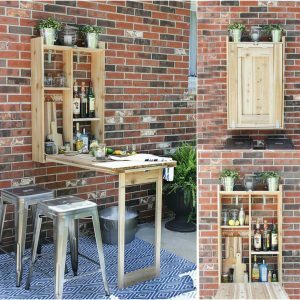 Need a quick solution for book or knick-knack storage? Turn crates on their side and stack them to create a cute and efficient bookcase! 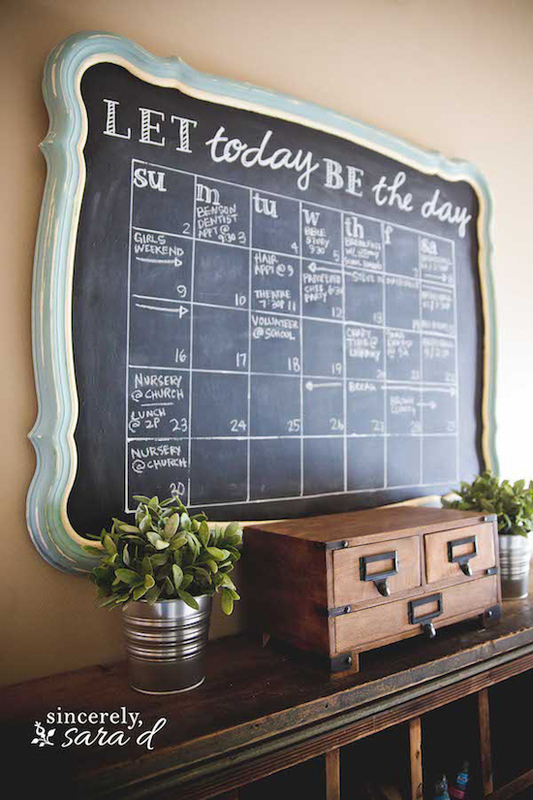 Learn how to create this cute DIY Chalkboard Calendar to keep your month-at-a-glance easily seen by the entire family. 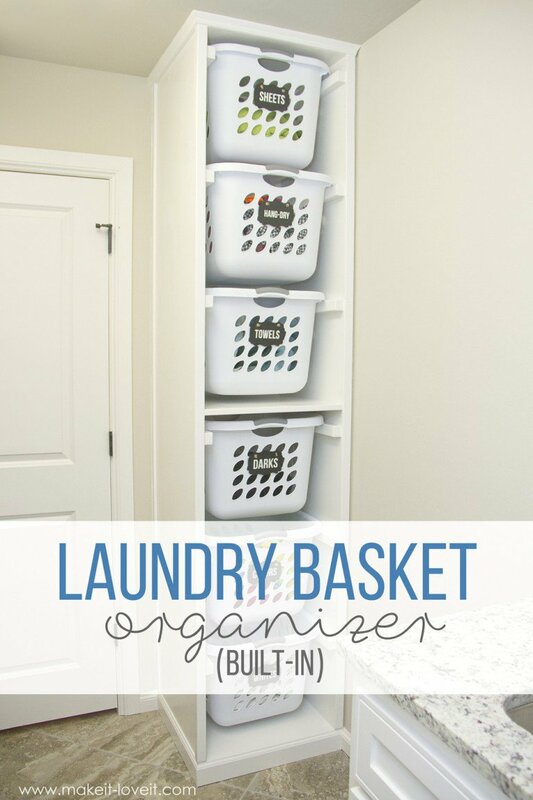 This clever and easy build utilizes pull out dollar store baskets! Learn how to create your own undercabinet storage system with Kim’s tutorial. I love this idea! 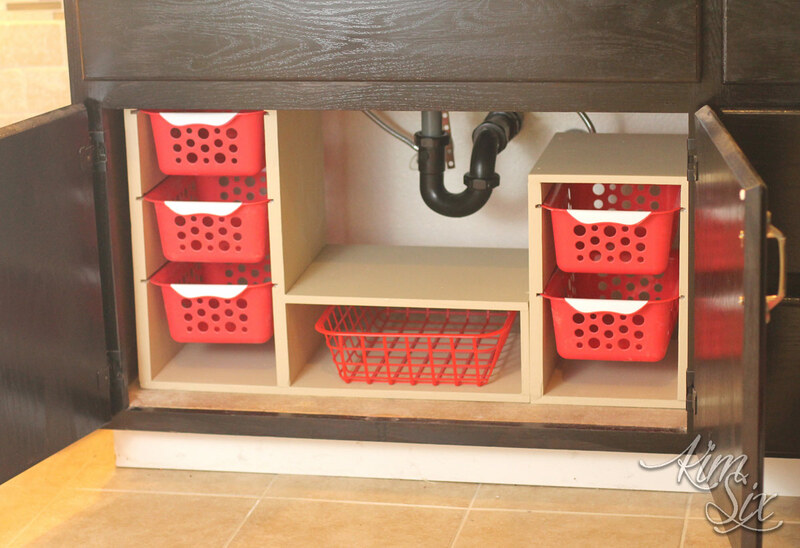 Create a built-in laundry organizer to keep laundry organized and ready to go. Create your own cute and organized office supplies using tin cans, clipboards, fabric and mod podge. 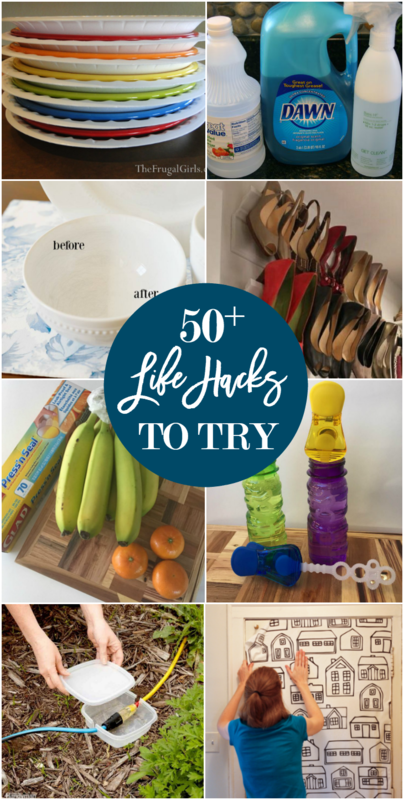 Looking for more hacks? 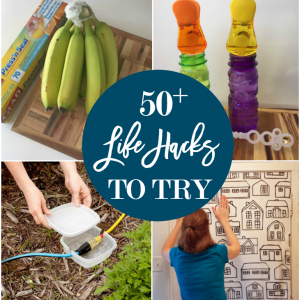 Check out 50+ Life Hacks Worth Trying. I love your craft room and the rest of your home, you gave me some good ideas for my own. Thanks Debra! I’m glad it have you some ideas. 🙂 Thanks for stopping by and taking the time to comment. So many great ideas. Thank you for putting this post together!